Join Anderson Fire Protection, Inc.! At Anderson Fire Protection, Inc., we pride ourselves on hiring only the best employees. 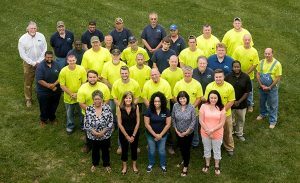 Our employees are the key to building the perfect business and establishing long-lasting relationships with our valued customers. With a company culture based on learning and growing, our employees receive regular training on safety regulation and the systems we install. Are you looking for a perfect place to work? Then Anderson Fire Protection, Inc. is the place for you! Let’s take a look at some of the exciting positions we are trying to fill. Preparing accurate and timely service tickets and reports. This position requires past experience and a NICET certification is a plus. You will also receive a signing bonus after 60 days’ probationary period and once all of the qualifications have been met. We are also seeking a fire sprinkler service technician/inspector. This individual will be responsible for inspection and testing of the sprinkler fire protection systems installed in commercial and residential properties. For this position, you must have experience of inspection, testing, repair, and servicing fire protection systems and knowledge of NFPA standards as well as state and local codes. It is strongly encouraged that you have experience with fire alarm and special hazard systems but it is not a requirement. You must have attention to detail, the ability to accurately complete electronic-based inspection forms and documents related to the inspection process, and have good communication skills. NICET certification is not required but preferred. The right employee will receive a signing bonus after 60 days’ probationary period and once all of the requirements have been met. Anderson Fire Protection, Inc. offers a competitive pay based on both skills and experience, an excellent benefits package, and a 401(K) retirement program. Pre-employment drug testing is required for all positions. With more than 25 years in the business, Anderson Fire Protection, Inc. depends on its employees to uphold its spotless reputation. For more information on working with Anderson Fire Protection, Inc., see our Careers page for details or email your resume to Maria Anderson mariag@andersonfire.com. Why You Should Work with Anderson Fire Protection Inc. This entry was posted on Friday, September 2nd, 2016 at 9:41 am. Both comments and pings are currently closed.